Two aspects that make studying animal aggression intriguing are the ease with which it is possible to elicit aggression and the unpredictability of the course and outcome of this aggression. Aggression in non-human animals is often studied in research settings by staging paired contests. Two animals that are unknown to each other are entered into an arena which can either be without any resources to fight for or with a resource, such as food or a female. Many species immediately show agonistic behaviour in response to this situation and escalate into fighting within several minutes or even seconds. Even species that in nature would aim to avoid damaging aggression, such as pigs, show immediate intense aggression when meeting an unfamiliar conspecific in an enclosed environment. The term agonistic behaviour refers to the whole range of behaviours from threat display until withdrawal, including aggression, whereas the term aggression is used in animal behaviour research only for damaging aggressive behaviour, such as a fight. Some animals—and some species more than others—settle contests through agonistic behaviour without the use of damaging aggression (i.e., without a fight). In a study in which pigs were staged in paired contests where they were matched for body weight, which has a high likelihood to result in a fight, almost one-third of the pairs did not fight (Camerlink et al., 2016 Animal Behaviour). In research, contests that do not escalate into damaging aggression are often treated as an anomaly and ignored because aggression rather than agonistic behaviour is the main focus of research. However, these animal contests can provide insight into individual variation in decision making and aggressive tendencies. 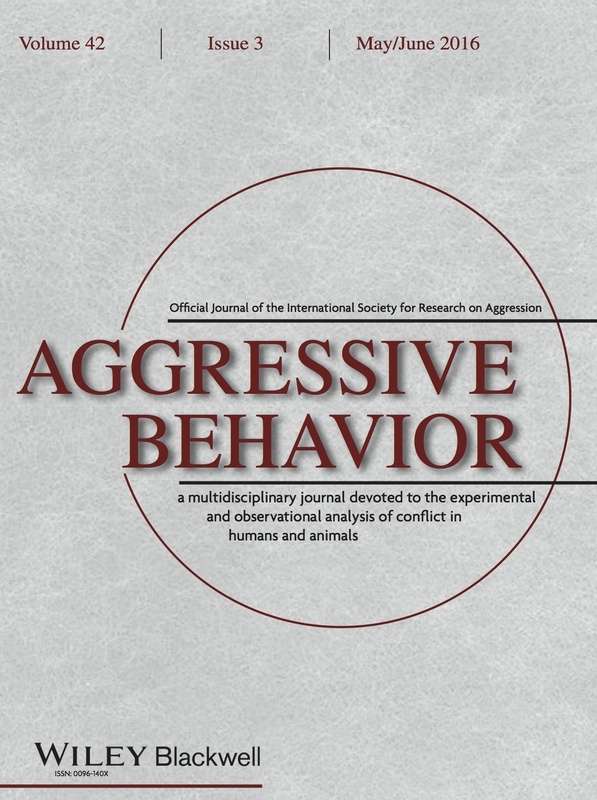 Therefore, even though aggression may be the focus of our research, studying the absence of aggression may be as valuable as studying the occurrence of aggression itself and is therefore worth including in both animal and human research.